For the fifth consecutive year BikesThere runs an after-school bike club for 5th graders at Alice Birney Elementary School. 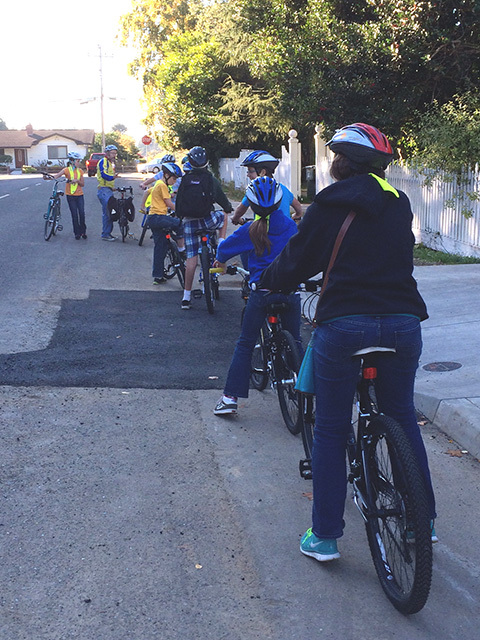 Throughout the year students gain sufficient confidence and competence to ride on the neighborhood streets, participate in the Rhododendron Parade and ride in the Family Farm Tour at the Tour of the Unknown Coast. Find out about how to start an after-school program.